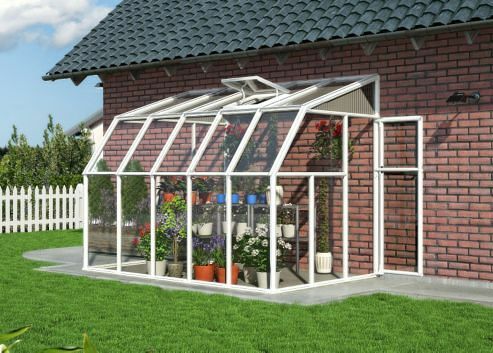 This is a great looking white lean to which fits against a wall meaning that the bricks retain the heat of the day and keeps the plants inside warm during the night. 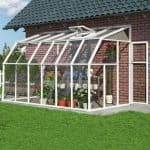 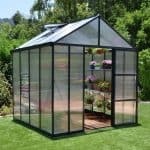 Use as a sun room or a greenhouse, it works well as both. 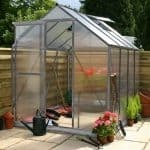 The panels are polycarbonate and plants are well protected from the harsh elements. 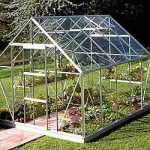 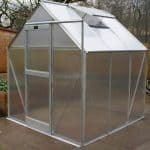 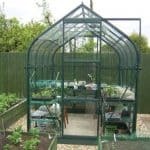 Good temperature control and ventilation means this is an excellent choice greenhouse.